JERUSALEM (AP) — Israel announced new restrictions on Gaza Saturday, weeks after the territory’s Hamas rulers stepped up protests along the enclave’s land and sea borders with Israel. Defense Minister Avigdor Lieberman has ordered the permissible zone for Gaza fishermen to be scaled down from nine to six nautical miles and threatened “additional steps if the violent incidents continue,” according to a statement by COGAT, the Israeli defense body that coordinates civil affairs for the Palestinian territories. Other measures could include more restrictions at Kerem Shalom, Gaza’s prime commercial crossing point and the only one with Israel. Lieberman cited Friday’s “riots” at the fence dividing Gaza and Israel as contributing to his decision, in addition to the midweek beach protests in which fishing boats and protesters gather at the northwest end of the Gaza Strip where its sea and land barriers meet with Israel. Hamas seized Gaza forcibly from the Palestinian Authority in 2007 after winning legislative elections a year earlier. The Islamic militant group has since March initiated protests on a weekly basis, demanding an end to an Israeli-Egyptian blockade that has made it increasingly difficult for the group to govern. Hamas accuses Palestinian President Mahmoud Abbas, who governs parts of the West Bank, of thwarting regional efforts to reach a Gaza cease-fire that could ease the closure. Hamas has in response escalated and intensified the protests recently, adding locations and leading night gatherings near the fence where activists use sound bombs and laser lights to distract soldiers. 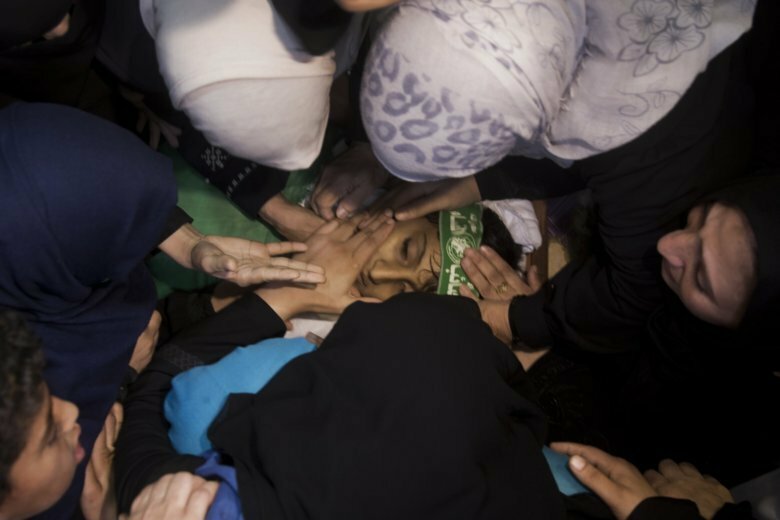 On Friday, three Palestinians, among them a 13-year-old boy, were killed by Israeli troops during protests at five locations along the frontier. Israel said the demonstrators threw grenades at the soldiers, adding that they also tore at parts of the fence with bolt cutters. At least 148 Palestinians either participating or present at the marches were killed by Israeli fire have been killed since the protests began in March, including 33 under the age of 18 years. A Gaza sniper shot dead an Israeli soldier in August.